Poll result Well, ladies and gentlemen, the time has come to announce the winner of our reader poll to select the worst film never made. 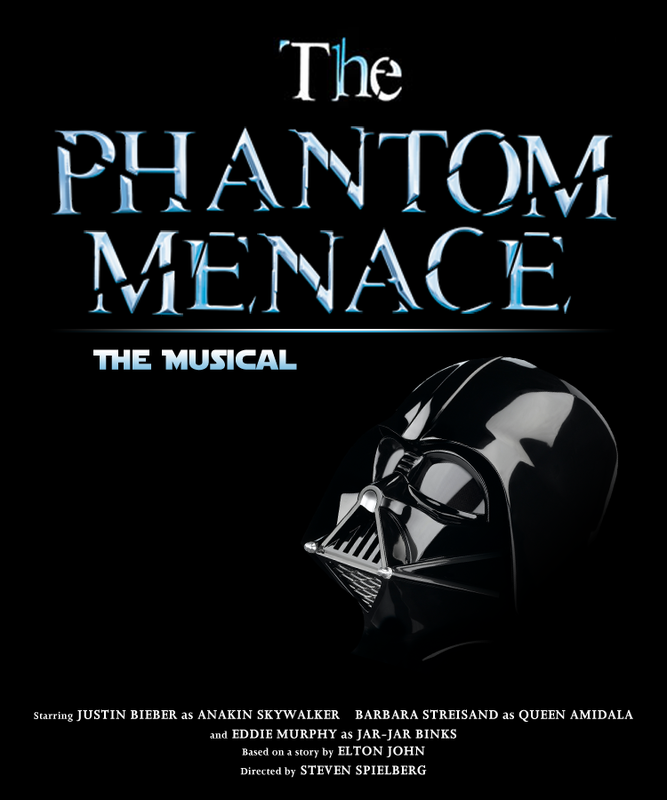 Yes indeed, the nightmarish prospect of Eddie Murphy as Jar-Jar Binks swung the popular vote, with The Phantom Menace: The Musical securing 380 thumbs-up. I'm sure you'll agree a round of applause is in order, before we announce our two runners-up, which are Diana - The 3D Movie!!! (234 votes) and The C Programming Language (222 votes). For their efforts, Ken Parsons and Jolyon Ralph will soon be enjoying the top five titles from the above list, and a copy of Battlefield Earth, respectively. As many of you pointed out, we should perhaps have reversed the prize order, with the winner being made to suffer merely John Travolta's Scientology-based tosh. However, we feel it's only right and proper that GitMeMyShootinIrons has plenty of quality entertainment which he might possibly send to people he doesn't much like. Good work by our own Andy Davies for the above poster. As a reward, he won't be obliged to watch Battlefield Earth.